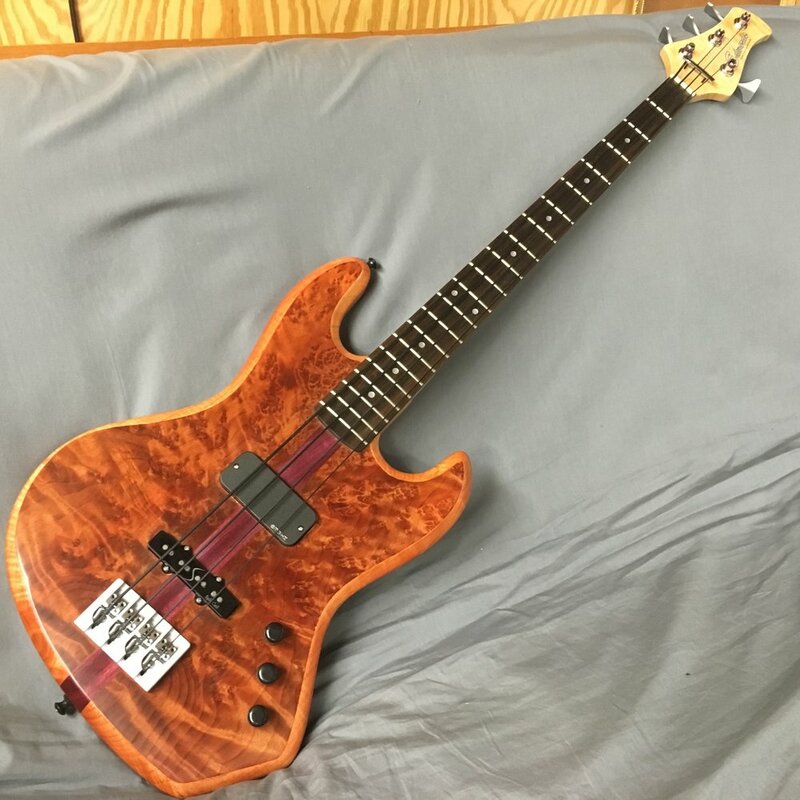 Here's the next bass! 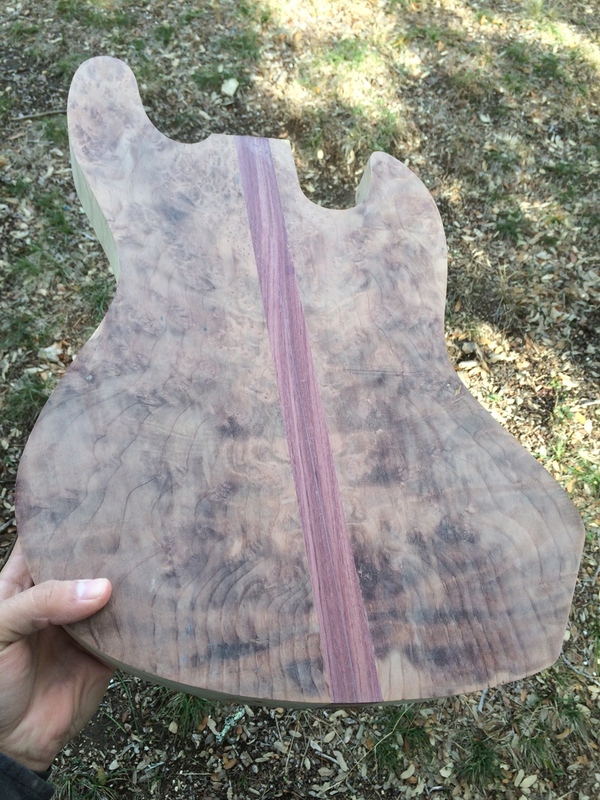 It's going to have a flamed chestnut body topped with figured redwood veneer. 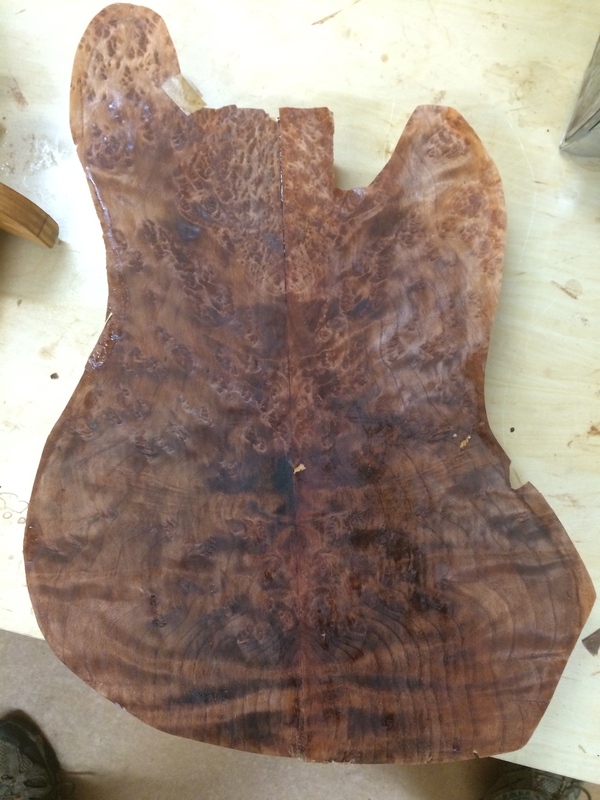 This one's also going to be fretted and will have satin chrome hardware. 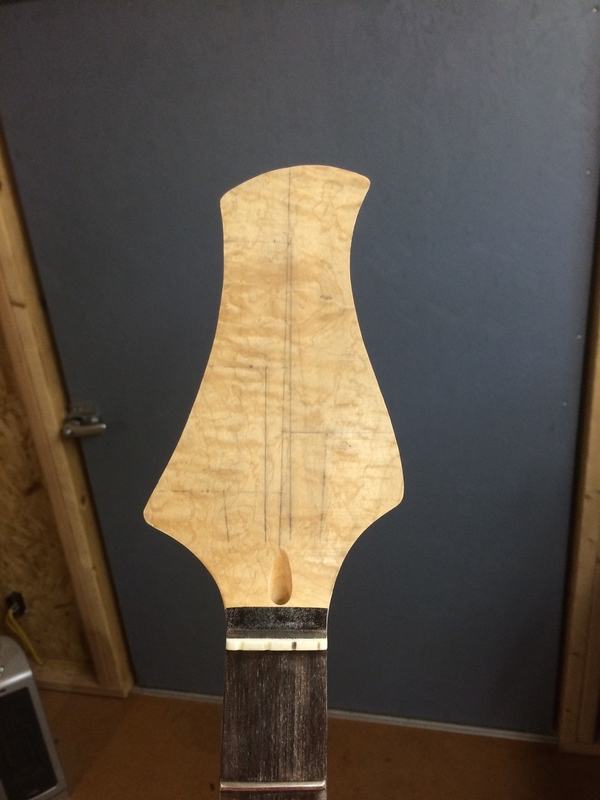 Also featuring the original Edwards Bass headstock design! 9/8/16: This bass is now completed and up for sale. Stop by the shop to check it out!